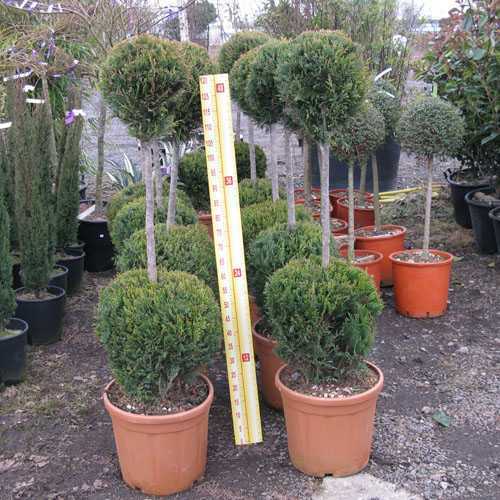 Cupressocyparis Leylandii Castlewellan Gold is a vigorous conifer with flattened sprays of golden young foliage. It has been trimmed and shaped to produce a very attractive feature plant with 2 balls on a standard stem. This is ideal for a patio area or driveways.